Saucony are kicking off the Spring season with not one but two separate sneaker packs being made available on the same day. Each pack consists of more than one sneaker. So you better have deep pockets if you want every single pair. The Grid 9000 ‘3 Dots’ pack comes in three colours. The Shadow 6000 Premium ‘Grey Pack’ comes in four colours. Not even a week has gone by and we see yet another yes another collaboration from Adidas Consortium this time with Japanese streetwear label Neighborhood. Established in 1994 by designer Shinsuke Takizawa, the brand is influenced by military , work wear and motorcycle culture. This blend of styles made Neighbourhood a staple brand of Japanese streetwear for nearly two decades. Its only fitting that such a strong brands team up Adidas to bring you their take on the iconic Stan Smiths. 2014 marks the Year Of The Horse. 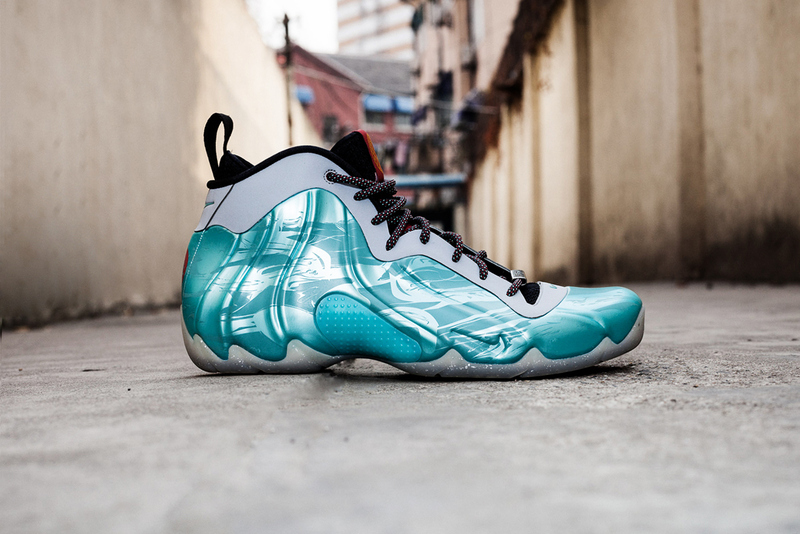 This year Nike brings us a special edition of the Flightposite Exposed in a diffused jade, wolf grey and black colorway with detailing that includes a grey sole with silver speckles. The traditional Chinese characters ‘MA’ logo meaning Horse in red can be seen on the heel and in gold on the tongue and a metal engraved lace charm which reads “great success with the arrival of the horse”. Inspiration for the Flightposite YOTH QS comes from a horse in motion. We have seen a lot of Nike Air Huaraches come out over the last 2 years, the hype really kicked off with the original colourway back in Feb 2013. Now it’s time for something a bit different. 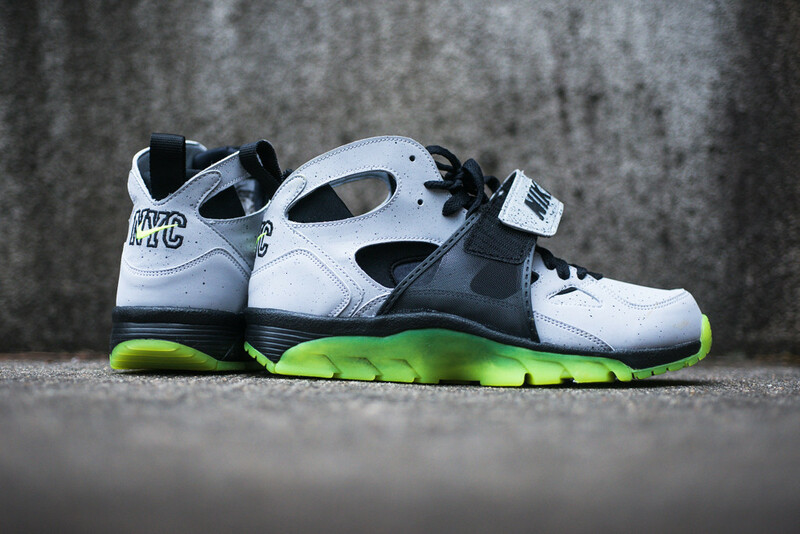 The new Nike Air Huarache Trainer PRM Quickstrike. 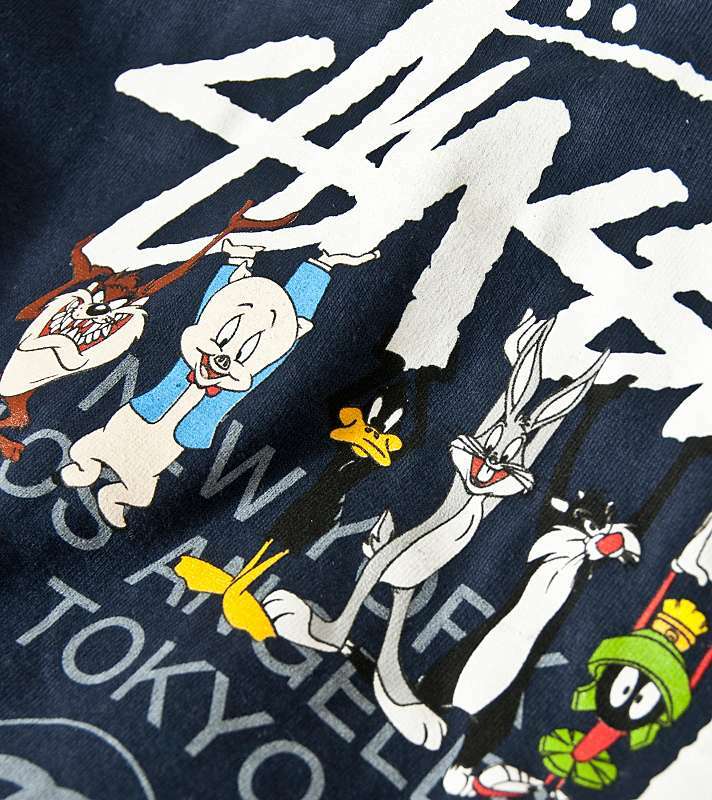 For S/S 2014 Stussy has teamed up with media giants Warner Brothers for a Looney Tunes collaboration to create the first ever global release of Stussy Kids. The tshirt collection for children and toddlers features iconic characters such as Bugs Bunny, Daffy Duck, Porky Pig , the Tazmanian Devil, Marvin the Martian, Yosemite Sam, Foghorn Leghorn and duo Sylvester and Tweety. 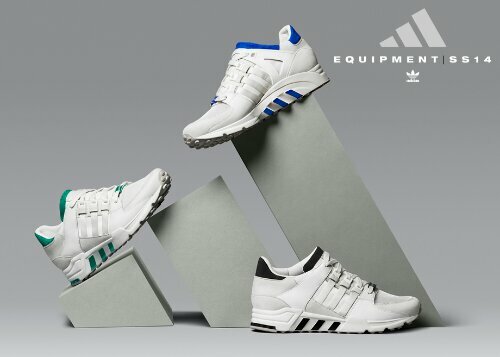 Adidas Consortium are continuing the run of the this years EQT collection with the “White Pack”. 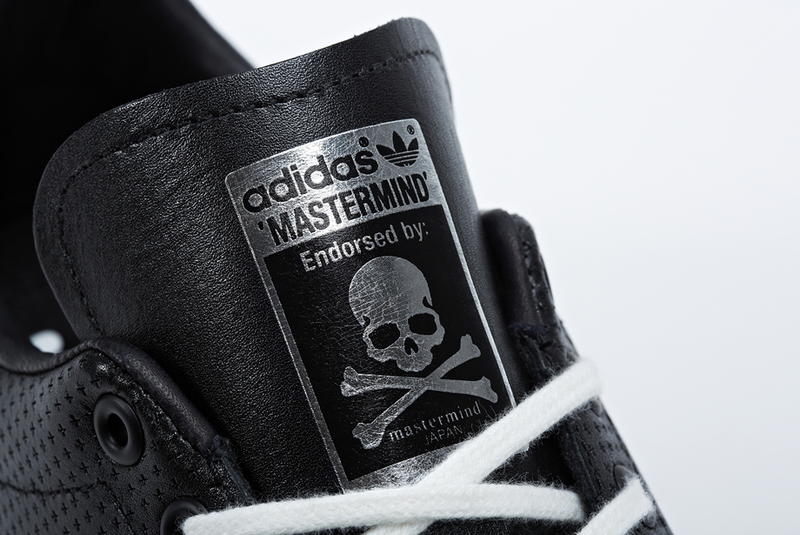 These are available from 22 February 2014 from End Clothing. 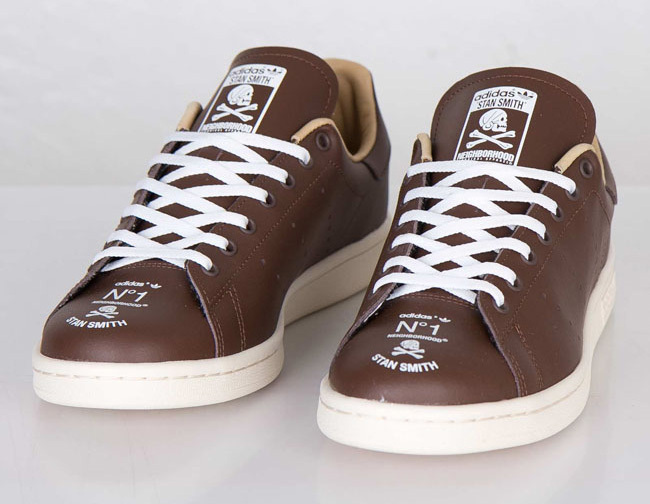 Last month we posted about the release of the much hyped Adidas Stan Smith’s which will always be a timeless classic with its simple yet charismatic design. Stan himself toured around Europe to help promote the shoe on behalf of Adidas. The ad campaign struck notes in both young and old and these greatly loved sneaker didn’t fail to disappoint when Adidas Consortium dropped some serious premium leather versions (reptile and Ostrich to name a few). Retro trainers are more than just trainers from back in the day. Retro trainers are classics. Retro trainers are a part of history. Retro trainers are part of conversations between friends whether is over a meal or a drink. It seems like Adidas too are bringing back an old retro classic. Originally released in 1982 as part of the ‘City Series’, the Adidas Originals Hamburg comes back after years away from the scene. 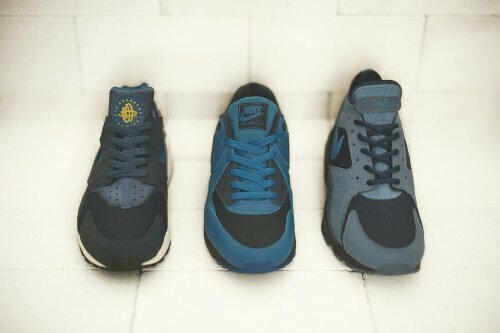 The Nike Air Max Light, Air Huarache and the Air Max 93 form part of the latest Nike & Size? collaboration for 2014. It is of course the Nike x size? ‘Army & Navy’ pack. We have already seen the ‘Army’ option which was made available from Friday 31st January 2014. The Adidas Consortium EQT (Equipment) range were trainers that met the needs of the everyday runner when released in the early 90’s. It was a runner the incorporated what Adidas called the Torsion System, which was to provide support to the midfoot while on different terrains.